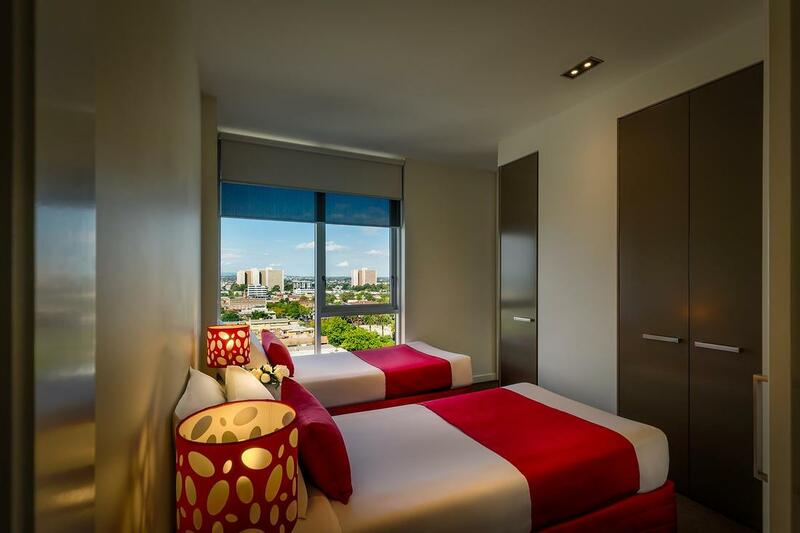 Find the best of Melbourne right outside your door, from the shopping, restaurants and nightlife of Melbourne’s CBD, Fitzroy, Collingwood and Carlton to the most prestigious CBD corporations, at Tribeca Serviced Apartments Melbourne. 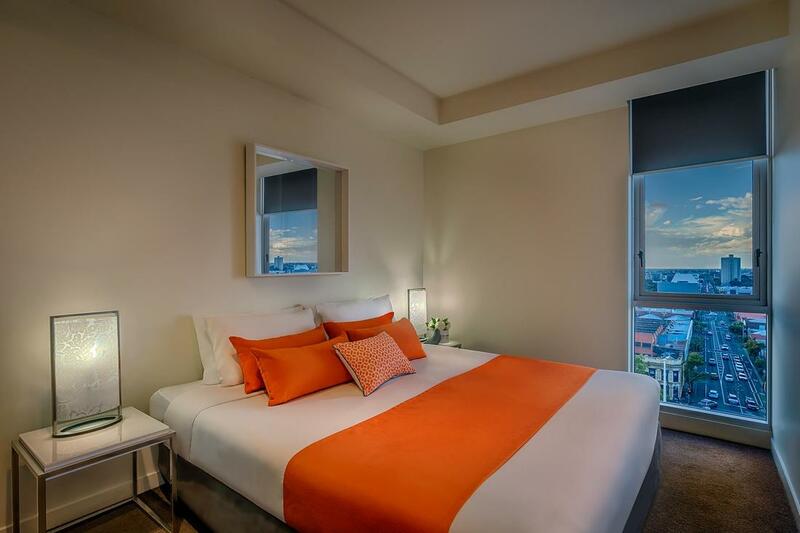 Modern and edgy yet welcoming and family orientated, our 95 boutique serviced apartments seamlessly merge the privacy and convenience of home with the amenities and service of the top hotels and apartments in East Melbourne. 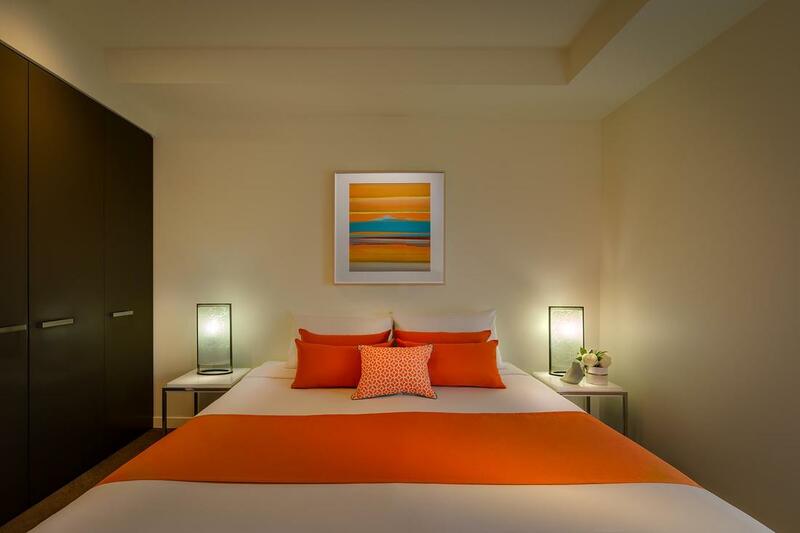 Located in a quiet parkland setting, just minutes from the Melbourne CBD, our range of stylish serviced accommodation includes spacious one bedroom and two bedroom apartments designed to be the ideal urban pied-a-terre for corporate or holiday travellers. Contemporary and warehouse designs are punctuated with dramatic red textures and polished finishes that add a touch of sophisticated flair. 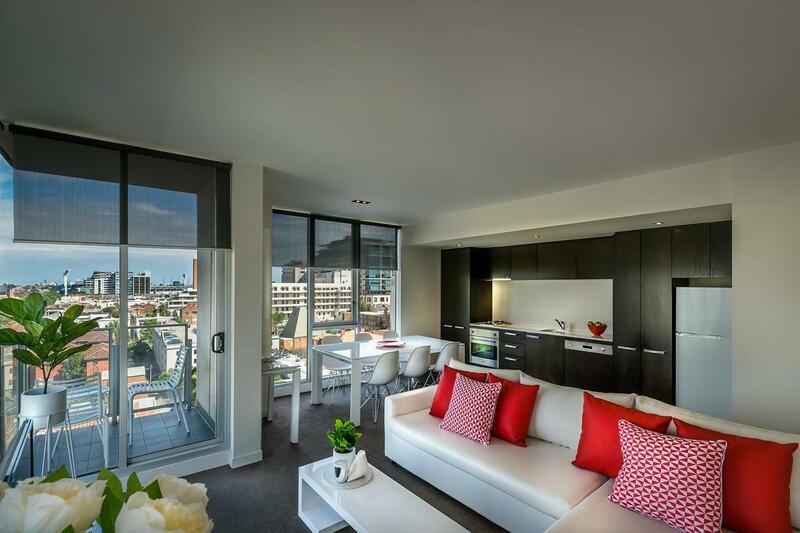 Featuring bright, modern layouts, stainless steel and stone kitchens, European laundries and private balconies or courtyards, many apartments offer beautiful views of the MCG or the colourful hot air balloons rising from the Melbourne city centre. At Tribeca, you don't need to travel far to stock your kitchen with an IGA supermarket located within our complex. If you don't wish to cook, sample the culinary delights of our cafés and restaurant, then you can work off your indulgences in the 20-metre heated outdoor lap pool and gymnasium. 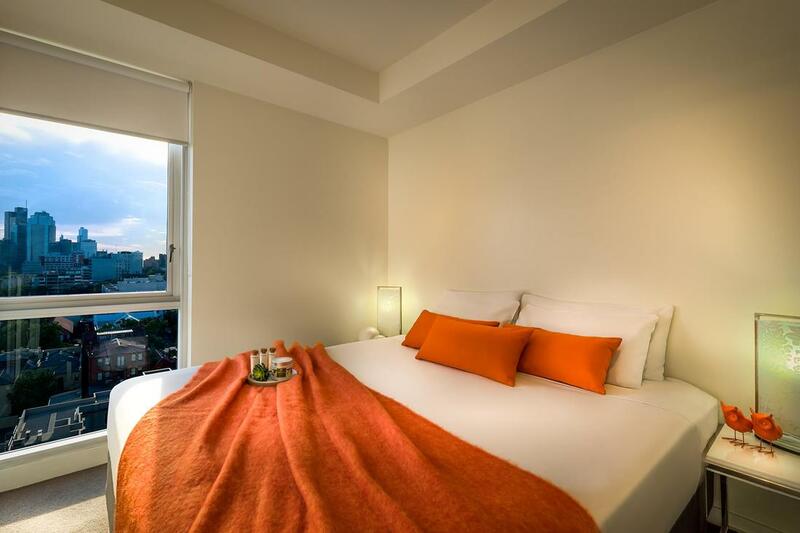 Enjoy wonderful views from the oversized windows of our spacious two-bedroom apartment. Inside, you can relax in large living spaces and bedrooms that make this suite ideal for groups of up to six guests. Expansive kitchens feature stainless steel bench tops, and the bedrooms can convert to either twin or king bedding. Additionally, the living room has a double sofa bed to accommodate an additional two persons. Collins Street, Treasury Gardens, Fitzroy Gardens, sporting venues such as the MCG, Melbourne Tennis Centre and AAMI stadium. "A nice home away from home. Centrally located close to the city and MCG. Stayed in a comfortable two bedroom apartment which was fully serviced that included kitchen, washing machine and dryer. Apartment has central heating and aircon. Very quiet area."